The Young Baker | Crappy Kitchen - Good Dinners! I started this page for my daughter. She has helped me in the kitchen for years, starting out with the usual job of mixing batters, and then graduating to cracking eggs into bowls of sugar. Lately, I have been allowing her to stir ingredients into hot pans and chop things like carrots and potatoes. Her interest at the moment is in baking. How can I blame her? Whisking eggs and sugar into a creamy froth, and adding flour and chocolate is a heavenly process, and, gives two rewards; the final baked cake or cookie, AND, the honor of licking the spoon! She just turned 10 (yesterday, in fact! ), and, it is high time she set out on her own, culinarily speaking that is. I told her (only after she begged me for months) that she could start baking unassisted, but, she had to pick a recipe, and follow it to the letter. That way, she would not ask me what to do next, and, she would begin to understand why ingredients work the way they do, when mixed, boiled, melted, baked etc. The rule that will be hard for me, is to not stick my interfering nose into her baking business! I have to refrain from telling her how to do certain things (that is what recipes are for after all! ), and, not to make things pretty for the final presentation picture. So, here she is, doing things without my help (save for pulling hot pans from 400* ovens! ), or interference. May it inspire you to let your son or daughter take the reins in the kitchen, and add a little sweetness to the end of a meal, or provide you with that little smakeral of something to have with your cup of coffee or tea. 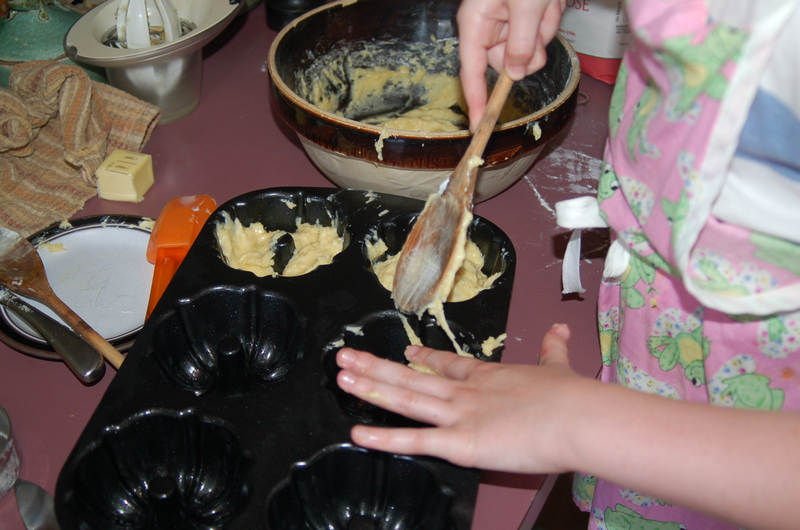 Click on The Young Baker in the column to the right of my blog to read about her adventures and get great recipes.